While Owen Marshall has also written novels, he is best known for his mastery of the short story. He writes of small-town New Zealand, relationships, families and questions of identity. Eccentrics and outsiders, those who fail to conform, recur in Marshall's work, as do unlikeable characters. 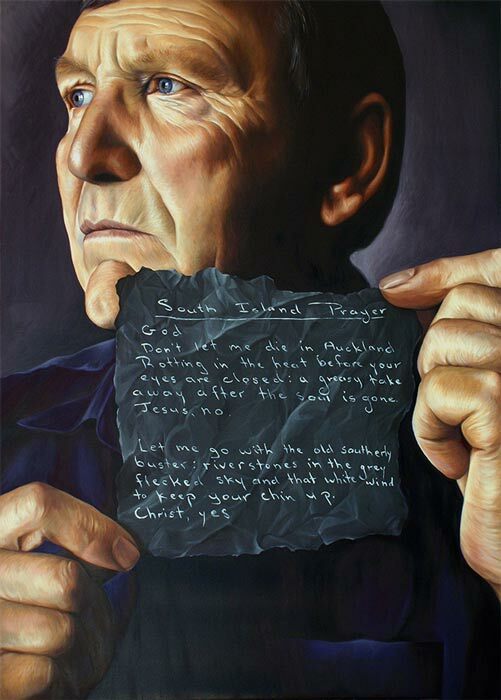 In this 2008 painting by Deidre Copeland, Marshall holds a copy of his poem 'South Island prayer', which asserts the importance of place.